History abounds with stories of doubles and pretenders, and personages who "lived" twice. Novelists have found the theme for books in them, like Leon Feuchtwanger's "The False Nero". Historians have argued about them, giving credence to some, and rejecting others. Men have died following pretenders who seemed to embody their hopes. Occasionally the sham figure has been greater than the original. Russian history is rich in such stories, in which fiction and fact, falsehood and truth, are inextricably mingled. News of the strange death - or was it murder? - in Uglich of Dmitri, the little son of Ivan the Terrible, gave rise to a spate of rumours. The Czarevich was still alive, it was said. Loyal friends were protecting him from the intrigues of Boris Godunov, who was then ruling Russia. Under the protection of Polish sabres, a man calling himself the Czarevich Dmitri entered Moscow. He is known in history as the False Dmitri. When he died, however, the legend did not die with him. A second, and even a third, False Dmitri appeared. As time passed, a whole band of false sons of False Dmitris began to come forward. In 1644 one turned up in Constantinople as the Czarevich Ivan Dmitrievich; another pretended son of Dmitri showed up in Poland. Later still, in the time of Vassili Shuisky, a Czarevich Augustus, allegedly the son of Ivan the Terrible, made himself known in Astrakhan. But he had a rival in the same area in the Czarevich Lavrenti - not the son, but the grandson, of Ivan. Then other "grandsons" sprang up like mushrooms in the tents of the nomads of the Volga steppes, all " sons" of the childless Fyodor Ioannovich, Ivan's son who succeeded him - Czarevich Fyodor, Czarevich Klementi, Czareviches Saveli, Semyon, Vassili, Yeroshka, Gavrila and Martyn. Small wonder that when the peasant revolt led by Stepan Razin broke out, there was a spurious son of Czar Alexei Mikhailovich with Razin, and also a sham Patriarch Nikon. How Many Lives Had Peter III? In the eighteenth century Russia was ravaged by wars, drought, and famine. Pilgrims wandered through the villages predicting that the end of the world was nigh. It was rumoured that the former Czar Peter III had been murdered by Catherine the Great's lovers. But from house to house, and inn to inn, the talk went that the Little Father was not dead at all, but was hiding and waiting his chance to march with the people against the lords. Then, in 1765, he appeared among the people. When he was caught, the "czar" turned out to be Gavrila. Kremnev, a deserter from the army. When the case of the pretended czar was reported to Catherine, she decided "it was done not with forethought or any idea of consideration,, but only from drunkenness, unruliness. and ignorance". Therefore Gavrila Kremnev was only flogged, branded and exiled to Siberia. The harsher the punishment, the more tenaciously the secret belief persisted that the czar was in hiding. When the Don Cossack Pugachev began his uprising, for many he was none other than Peter III. When house serfs of the nobility were flogged in Moscow for talking about Pugachev, they cried out under the knout: "Czar Peter Fyodorovich lives." 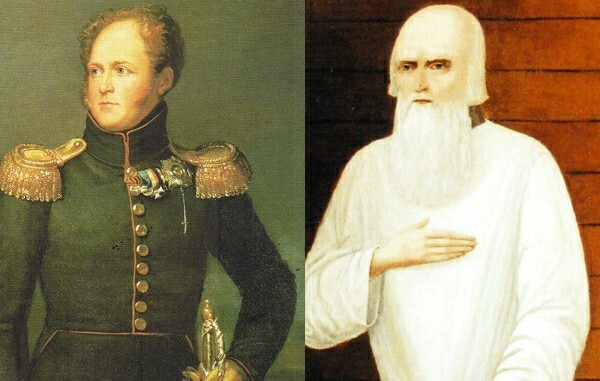 And although Pugachev was publicly executed in Moscow, Peter III stubbornly refused to die. The spectre of the dead emperor haunted Russia, appearing in the flesh of his doubles now among the peasants, now among the Cossacks, now among the soldiers. Even the Skoptsy - a Russian sect whose members practised castration - had their Peter III in Kondrati Selivanov, one of their religious leaders. This was far from the last shape assumed by the murdered emperor's ghost. Indeed, it is quite safe to say that after his death Peter "lived" a much longer and much more varied life. Not satisfied with the vast spaces of the Russian Empire, Peter III crossed its. borders and appeared in Montenegro. "He was of medium height", one of his contemporaries wrote, "thin and pale, his face pockmarked, and a thick mane of hair falling across his brow, covering his eyes." Many people, however, also knew him as Stefan. A certain Captain Tanovich, who had lived? in St. Petersburg, and who had seen Peter III there, testified on oath that the man known at Stefan, and Peter III, were one and the same person. The monk Theodosius, who had also seen the emperor, affirmed the same thing. The last doubts were dispelled when a picture of the emperor was found in a monastery. It was decided that the copy and the original were as like as two peas. A deputation of leading Montenegrins came to the door of the small house where Stefan lived, and begged "Peter III" to agree to rule in Montenegro. What would any other small-time adventurer have done in his place? Accepted immediately, I suppose. Stefan, however, tore the petition up and threw it at the feet of the deputation, and refused to accept the kingdom until hostility and strife were suppressed. After that gesture no one doubted any longer that the man who was going to rule Montenegro was in fact the Russian emperor. In January 1768, at a general assembly of the people in the town of Cetinje, Stefan was acclaimed as the Russian Emperor Peter III: but he continued to call himself simply Stefan. That was how he signed state papers: "Stefan, lowly with the low, good with the good, evil with the evil." He has passed down in history as Stefan the Lowly. 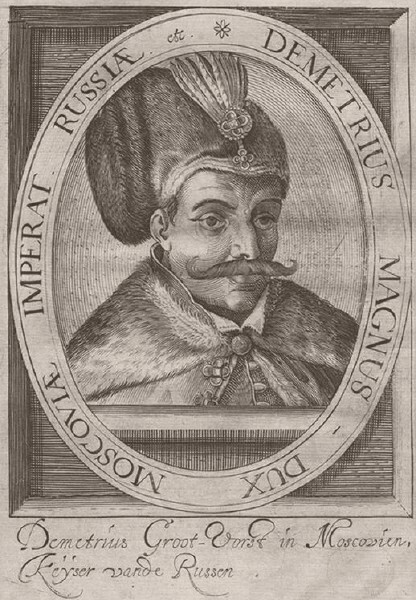 The reign of the "Russian Emperor Peter III" in Montenegro lasted six years. Stefan proved an able statesman, who tried to be fair and to do everything he could to help the common people. The country was freed from internal dissension, and once he succeeded by a stratagem in presenting a threatened Turkish invasion. The "Russian emperor" ordered great barracks to be built for the Russian officers and soldiers who were alleged to be coming shortly to help the Montenegrins. He rightly counted that this would immediately become known to the Turkish pasha through spies, and so it was. Stefan was not mistaken in thinking that there were Turkish spies in Montenegro: but he did not realize how close they were to him. One night a Greek servant, bribed by the Turks, murdered him. So the "Russian Emperor Peter III", branded, flogged, and sent to Siberia more than once, died for the third time. But still his story was not finished. That same year a man appeared calling himself Peter III, and he spent twelve years as such visiting various European capitals and cities and corresponding with monarchs and philosophers. Even Voltaire and Rousseau wrote to him. The fate of the new pretender, however, was no less tragic than that of the others who assumed the fatal name of Peter III. They all, like their prototype, suffered a violent end. The last "emperor" was arrested in Amsterdam, and slashed his wrists. Only then was the ghost of Peter III finally laid, and banished from the stage of history. According to the official records, the Emperor Alexander I died in Taganrog in 1825. Another version claims, however, that he gave up the throne, hid himself away from the court, and lived for another 40 years in Siberia under the name of the hermit Fyodor Kuzmich. Alexander is known to have said many times that he would like to abdicate and retire to a quiet life of devotion. He was also very well aware of the character of his ambitious and cruel successor Nicholas. Having himself come to the throne after the murder of his father, Alexander had every ground to fear for his own life, and was more and more afraid of being poisoned. At any rate, whether Alexander ever really planned to abandon the throne in order to preserve his life, his visit to Taganrog provided him with a wonderful opportunity. Several days before the sudden illness and death of the emperor, a subaltern Maskov, who was said to resemble him, also died in Taganrog. The remains of the emperor were conveyed to St. Petersburg in a sealed coffin. For seven days the coffin - still closed - stood in the Kazan Cathedral. It was opened only once, for the closest relatives, and that only at night, but Alexander's mother immediately drew attention to how much the face of the dead emperor had changed. It is not surprising that all these strange circumstances were whispered from ear to ear: it was said that another man was buried in the emperor's stead - probably subaltern Maskov. Things reached such a pitch that the sarcophagus of Alexander I was opened, and the remains exhumed and interred in the ground as befitted an "ordinary mortal". But away in Siberia a holy pilgrim, one Fyodor Kuzmich, gained fame among the peasant settlers. He resolutely hid his past, but his military bearing, his erudition, and his knowledge of foreign languages made him stand out amidst his surroundings. Some conversations with him, recorded by contemporaries, reveal an inexplicable knowledge in the hermit of the life of high society in St. Petersburg. No wonder, therefore, that there were those who began to identify Fyodor Kuzmich with Alexander I. Those who had known the emperor personally were amazed at the resemblance. When he was dying, Fyodor Kuzmich left some papers in code which would, he said, reveal his secret. The code has not been deciphered, and the papers have still not been read. 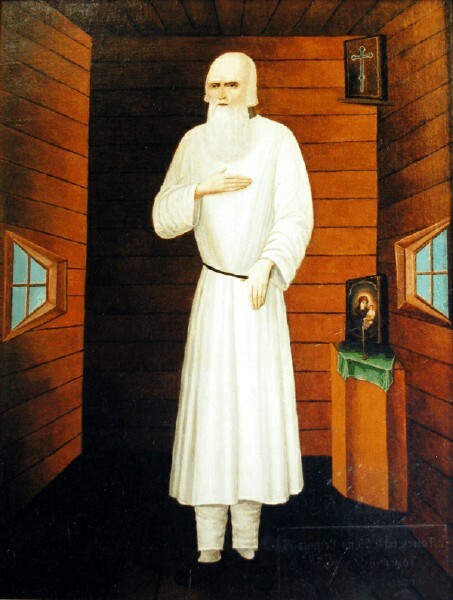 In his book "Alexander I and the Secret of Fyodor Kuzmich", published in Petrograd in 1923, Constantine Kudryashov put forward another hypothesis: that under the mask of the Siberian hermit was hidden, not the czar, but a relative of his, Count Fyodor Uvarov, who vanished without trace on January 7, 1827. Kudryashov suggested that Fyodor Kuzmich's use of a code could be explained by the fact that Uvarov belonged to an illegal lodge of freemasons, and that he was well acquainted with their secret cipher. In addition, he claimed, the handwriting of Fyodor Kuzmich was much more like that of Uvarov than of Alexander.